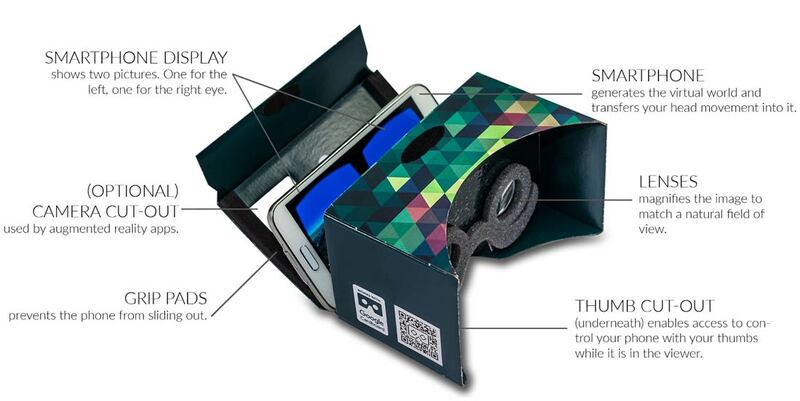 Build your own DIY Google Cardboard-based virtual reality headset at home. The Google Cardboard is one of the most easiest ways to experience Virtual Reality at home. Using this tutorial, you will be able to make one for yourself at ZERO cost if you have some: cardboard, clear plastic and magnets in your home. I made myself a completely functioning DIY Google cardboard from recycled materials, that is even the lens. Sourcing the lens is one of the most difficult parts of building this VR headset, since its not available anywhere and is also very expensive. So I made the lens myself using clear plastic and that’s how this project started. So just follow this tutorial to build your own DIY Google Cardboard based Virtual Reality headset at home. In this tutorial, we will be first making the homemade lens for the DIY Google Cardboard or VR Headset. And later you will have to make the cardboard enclosure for our DIY Google Cardboard using the printable templates provided here. The lens used in these VR headsets helps to reduce the least distance of distinct vision (LDDV) and allows us to see the screen of our smartphone clearly from a few cms off our face. 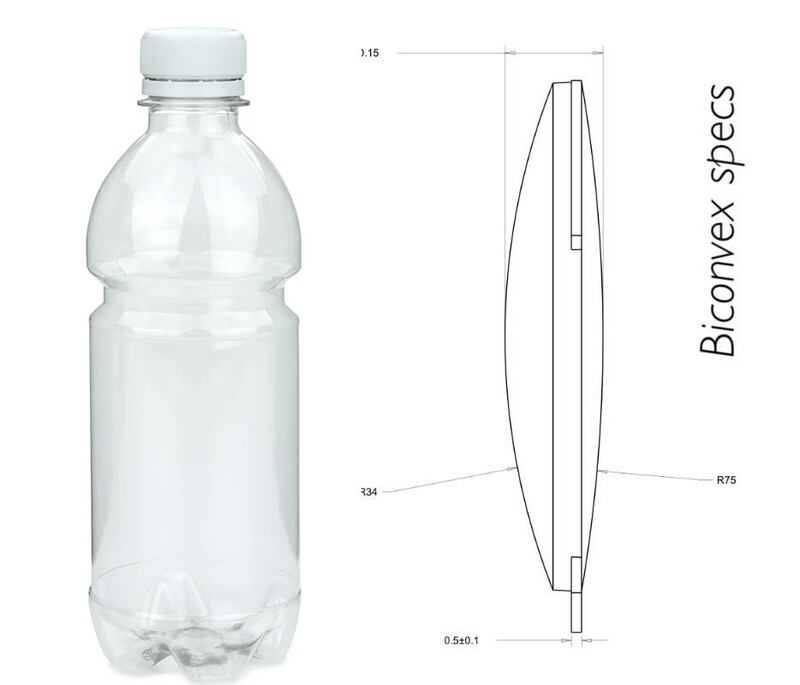 Here, we will be making a Biconvex lens using clear plastic bottles and some water. Check out the rest of the tutorial to see how we are going to do this. 2. Then make a circular template (25mm diameter) on a sheet of cardboard/paper. 3. 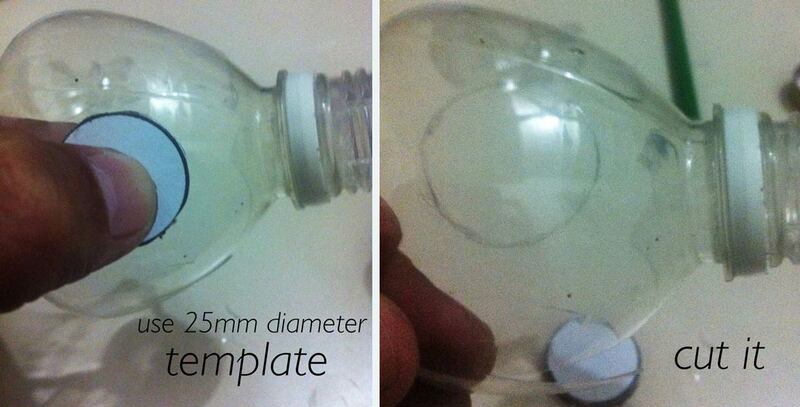 Using the circular template, cut the circular pieces from the plastic bottle using scissors. 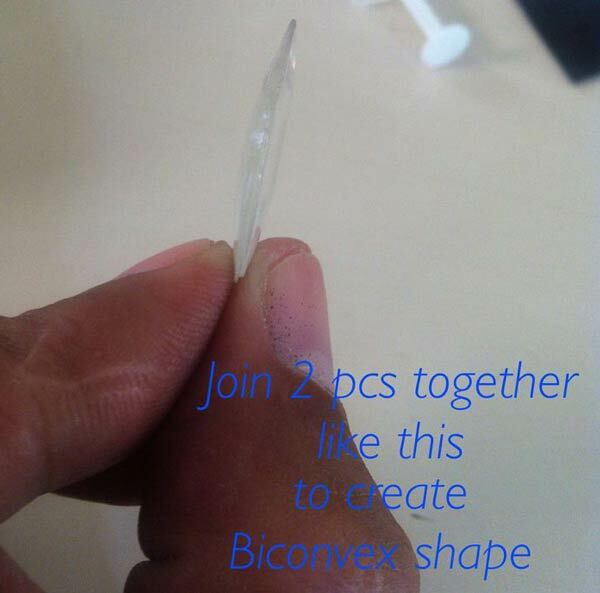 Make and cut at least 4 pcs of this, because you’ll need 2 pcs together to create a a single biconvex lens. 5. Carefully seal all the circumference sides of the biconvex shape plastic you just joined using quick dry epoxy. 6. Next, fill your syringe with clear water and carefully inject it inside the biconvex shape until you fill it up. To remove bubbles, just pinch or gently squeeze the lens to slowly remove all the big bubbles in it. 7. 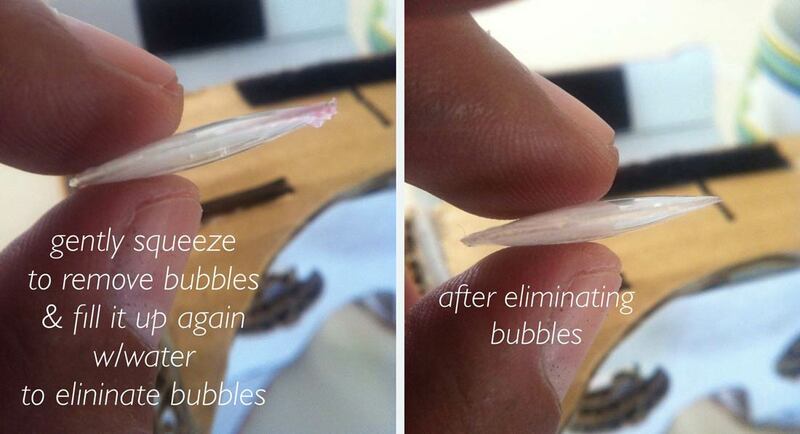 After successfully removing bubbles, fill it with water and seal it again. Also, seal the hole you just made with the syringe needle. 8. Let it dry for a few minutes. Test if your lens is able to magnify things. Try it with small things like printed letters. 9. Now, repeat the procedure for your second and last biconvex lens. If you were able to build your pair of lens successfully, congratulations! You are good to go on building your own Google Cardboard VR. NOTE: Please keep in mind, as the lens size (diameter) of the magnifier lens increases, the magnification power of the magnifier decreases. As the lens size of the magnifier lens decreases, the magnification power of the magnifier increases. This is a result of the amount of curvature in the magnifier (lens). 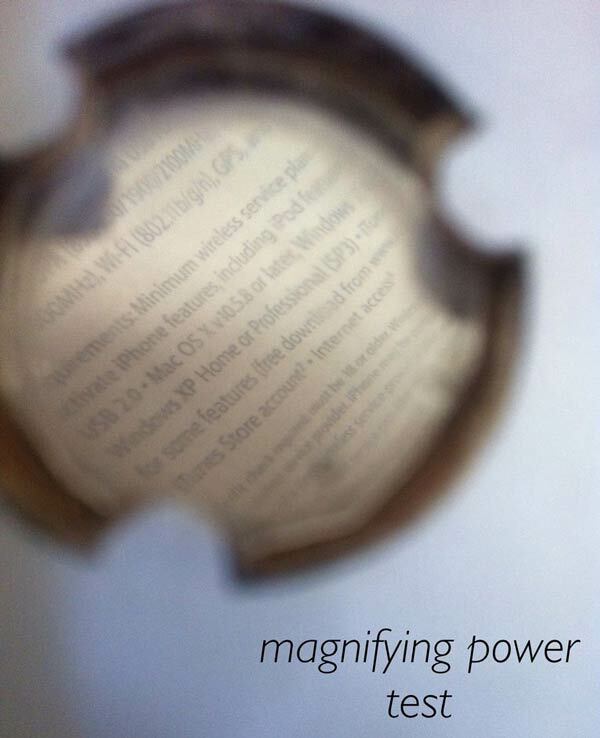 Magnification power is a result of the amount of curvature in the magnifier lens. As the lens size increases, the amount of curvature in the lens decreases, resulting in lower magnification power of the lens. As the lens size decreases, the amount of curvature in the lens increases, resulting in higher magnification power of the lens. This is why higher magnification lenses are generally smaller in size than lower magnification lenses. 1. Download the templates from here and print in on long bond paper in landscape mode. 2. Cut out the template using scissors. 3. 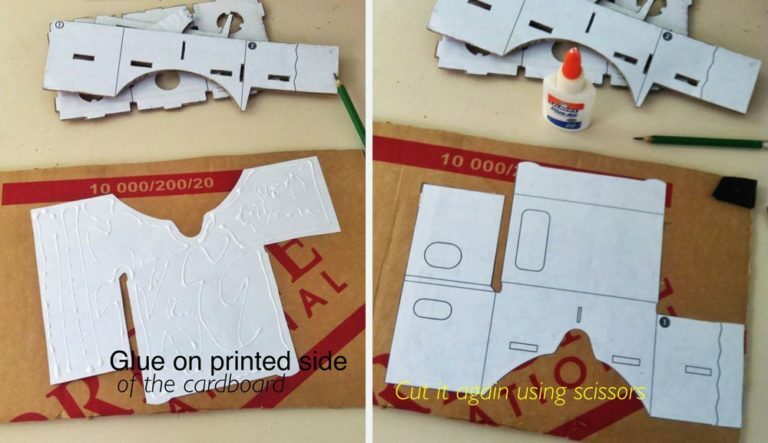 Attach the templates onto the cardboard using glue. 4. Cut the cardboard based on the glued template. After cutting all the three parts of the template, you have to assemble it. The markings on the templates will guide you on where you can fold. 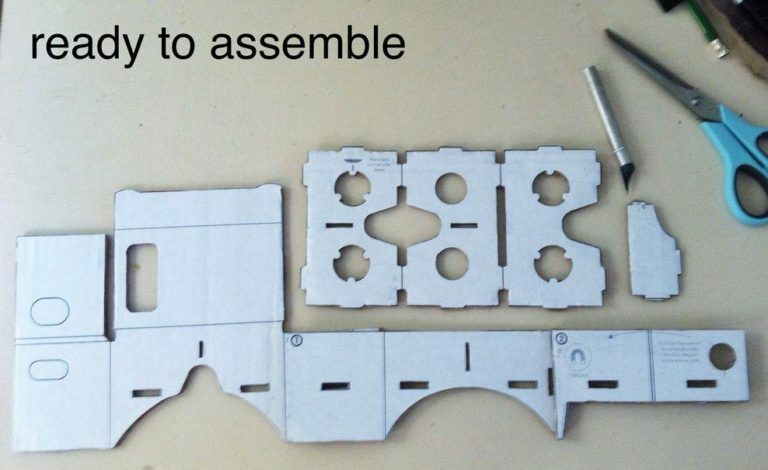 You can also check out this video which explains the step by step process for assembling your DIY Google Cardboard. 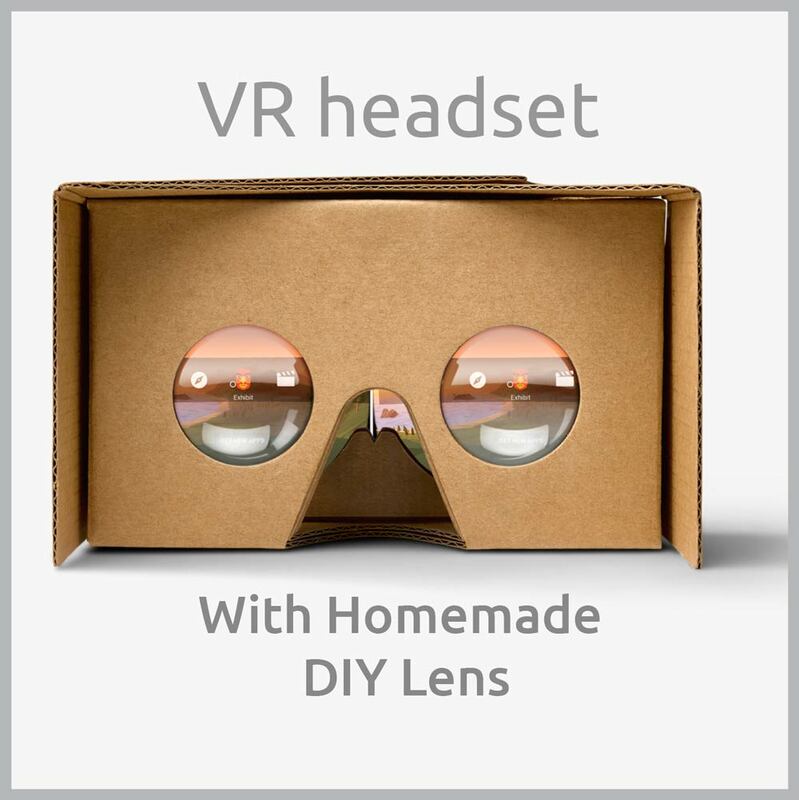 Place the pair of lens you made earlier onto the eye-slot of the assembled Google Cardboard Headset. You can use the slots on the cardboard enclosure to place it firmly on the VR headset. Now we can test running some VR apps on the smartphone. Depending on which smartphone you have (Android/iOS), download any VR app or the stock Google Cardboard app and load it on your phone. Now place it inside the VR headset and try viewing it. A sample VR app for apple: Rollercoaster VR. CAUTION while using Magnets: Messing with powerful magnets near your smartphone can alter the calibration of the sensor! We experimented with a number of powerful magnets near the phone. While the compass can re-calibrate itself, it is possible to mess it up. In our case, it seems that we might have slightly magnetized some component inside the phone. While the compass still seems to work reasonably well, it doesn’t show the same overall field strength when we twist the phone around in different directions. There are a number of stainless steel shields inside an iPhone that might have been very slightly magnetized by the passing magnets. Hopefully they will demagnetize over time. Avoid getting powerful magnets too close to your smartphone, or risk messing with your own compass calibration. If you wish to add magnets to your VR Headset, you can check this out: Google Cardboard with magnets. Recycling things is one of the best things you can do to help mother nature. I enjoyed building this DIY Google Cardboard and the virtualisation too at no cost. Hope you enjoyed reading it! Thank you.